Right now these Back to School Ultra Soft Leggings ONLY $5.99 (Retail $12.99). 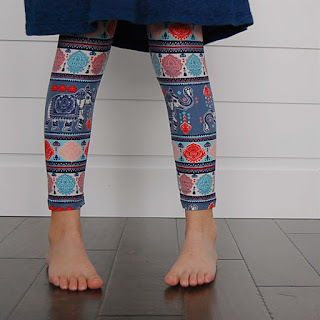 Your girls will stay comfy all year long in these cute and super soft brushed leggings featured in several different patterns. Wear these with favorite tunics and sandals or a more casual look with favorite tees and flip-flops. They have a paneled elastic waistband and are 92% polyester, 8% spandex. This will be a go-to outfit this summer for relaxing at picnics, ball games or parades. $2.99 for the first item and $1.99 for each additional item. US only. Seller usually ships within 4 business days. Ships no later than Mon, Jul 30.